We started with just one home and an idea: to bring homeowners and renters together with smart technology and caring local teams. 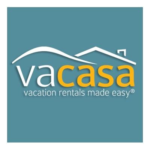 Today, we’re the largest full-service vacation rental company in the US. Today, we’re one of the fastest-growing vacation rental companies in the world—thanks to the people who give us their best every day. You’ll fit right in here if you’re curious, entrepreneurial, and thrive in a rapid-growth environment. We make things happen—we learn and grow together. In our line of work, no one can know everything, but everybody knows something. Experimentation is table stakes. We fail fast, learn faster, and iterate rapidly. With our substantive growth and international expansion, we’re looking for an experienced and results-oriented Director of Email Marketing role to develop, implement and execute the email-marketing road-map. The right candidate is also extremely detail oriented and has strong project management and analytical skills.